Is Copywriting for Social Media Even a Thing? Great copy is what many of the most engaging posts on social media share in common. This is particularly true for memes, which elevate mundane images to viral status with emotional copy that runs the gamut from hilarious, ironic, to nostalgic. Below are four examples of effective social media copywriting strategies which you can apply to your brand’s social media content. In the early days of social media, many businesses seeking to engage their audiences on Facebook and Twitter were slow to catch up on the fact that these platforms weren’t just about self-promotion or advertising. Social media is about being social, which requires moving from one-way to two-way communication (i.e. conversation). 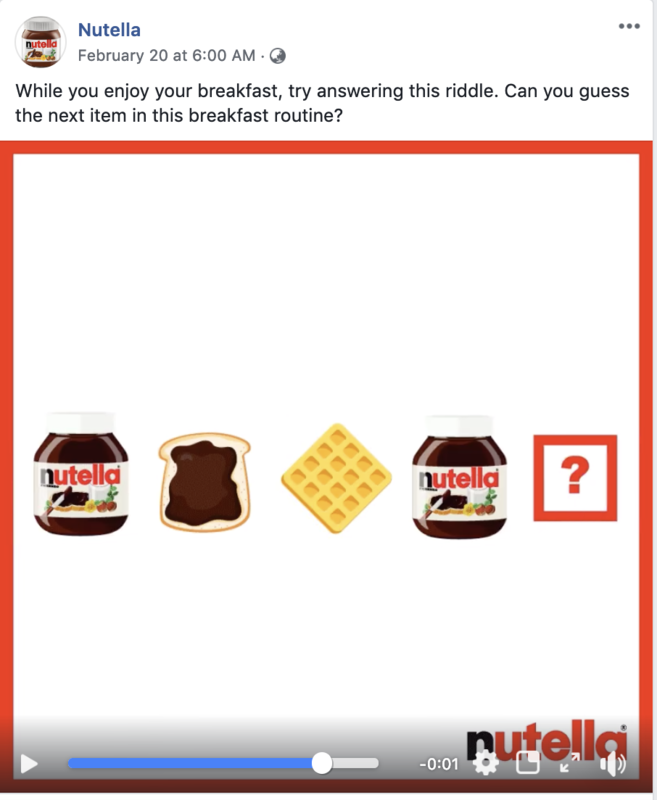 In the example below, Nutella does this by asking its Facebook followers to guess which item comes next in the video of a breakfast routine. Sometimes, less is more when writing copy for social media. Take Instagram for example, where the average user spends 21 minutes each day scrolling through photos and videos. On such a visual-driven platform, brevity is the name of the game. Use your captions to elevate your images and videos by conveying a message that evokes emotions. 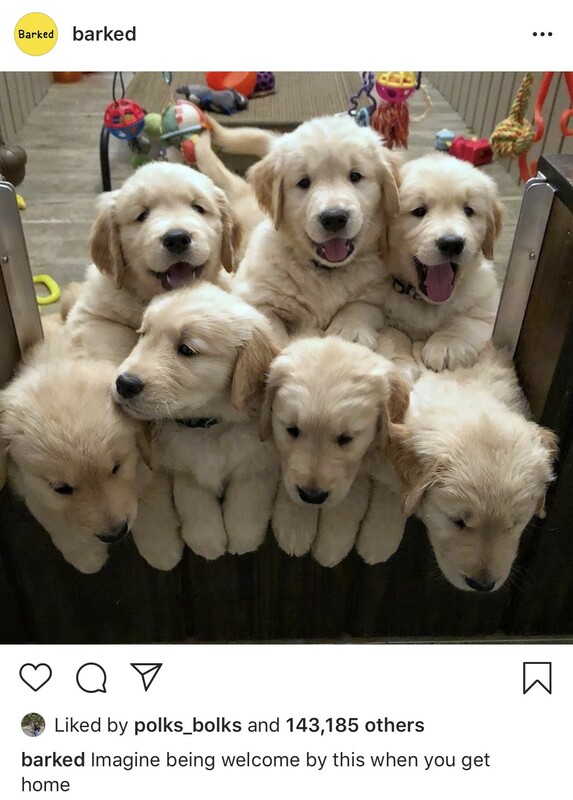 How brands do it: For example, Barked’s Instagram post below shows a photo of puppies, which, in the grand scheme of things, isn’t special – thousands of dog photos are shared on the app every day. But in this case, it’s the punchy copy pushing the reader to stop and think. Professional social networks like LinkedIn lean more towards content delivery and consumption, with 94% of B2B marketers using the platform as a content distribution channel. Furthermore, 45% of the people reading this content hold upper-level positions (e.g. C-Suite members, directors, managers). 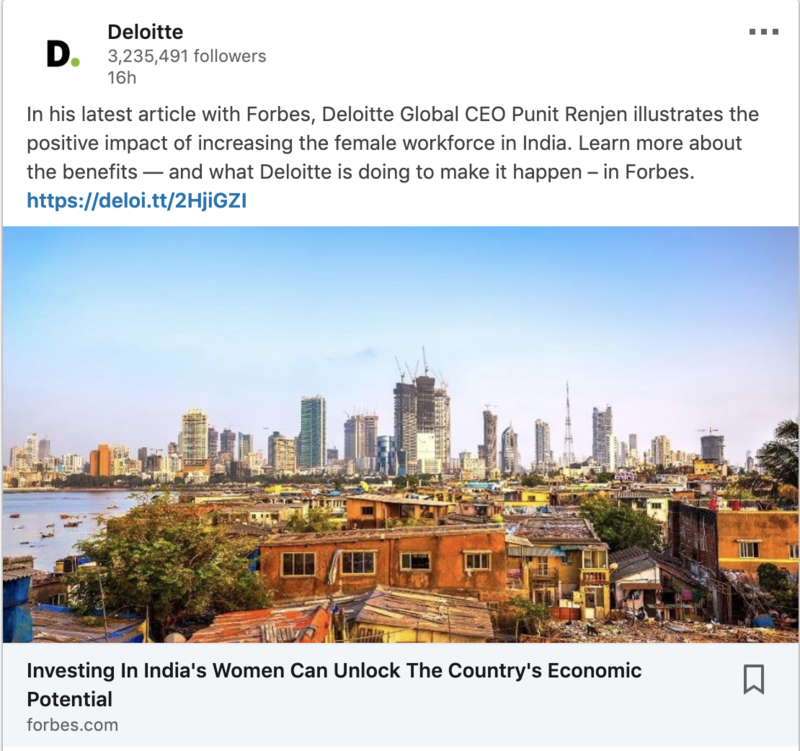 How brands do it: In this example, Deloitte had posted a link to an article written by Deloitte Global CEO Punit Renjen, giving followers of the company’s LinkedIn page a strong reason to read it. The fear of missing out (FOMO) is a powerful motivator that fuels many of our social media behaviors. A survey by MyLife.com shows that 56% of social media users are afraid to be away from social networks because they might miss out on events, news, and important status updates. 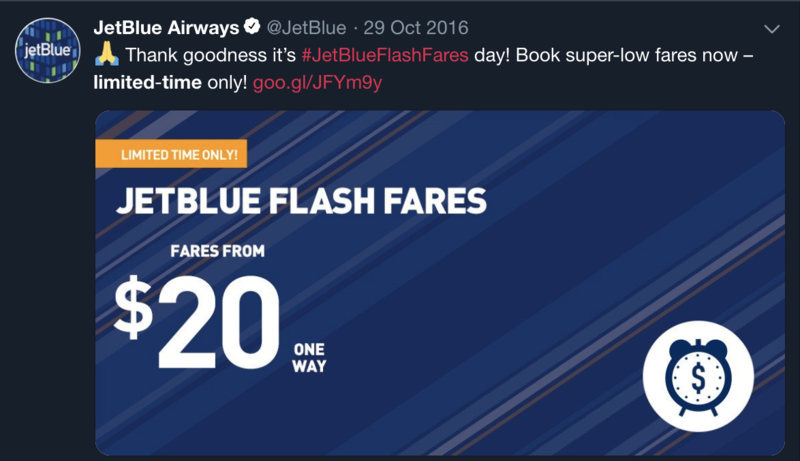 How brands do it: In the example below, JetBlue creates a sense of urgency by tweeting that a flash sale on fares is available for a limited time only. Paired with an image showing the lowest possible fare available, the tweet communicates everything customers need to know about the offering. No matter which social media platform your brand is active on, great copywriting can be the key to engaging your followers more effectively. These four social media copywriting strategies will help you to stand out from the competition, giving your audience a reason to stop and consume your content.